Welcome to Floor9Design: Quality Web Design / Development and IT Solutions at affordable prices. Maple House Clinic are one of our longest running clients. As part of a general company review and update, their website design was updated, giving a stylish and more professional web presence. 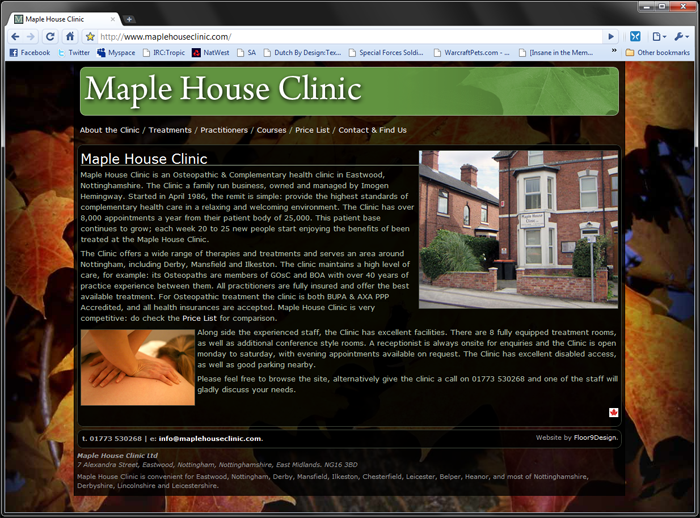 The result - Maple House Clinic got an effective rebrand and relauch while examining a simple website content update. 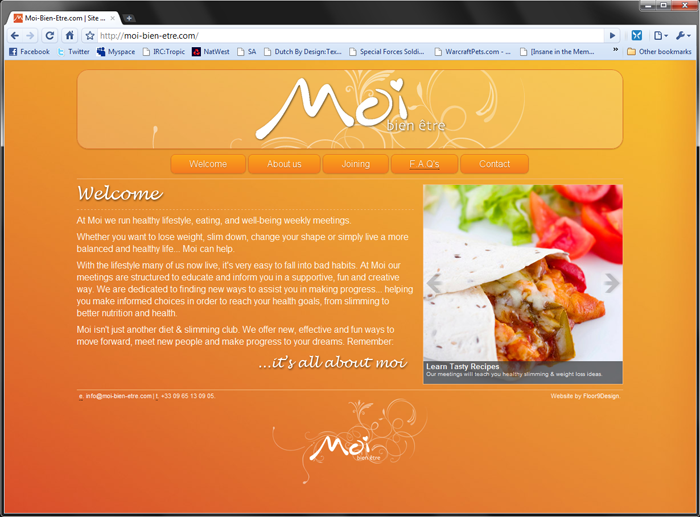 Moi-Bien-Etre needed a stylish website for their company launch. They new little about the whole website design process, having only some basic graphic design work complete. Floor9Design were able to revamp their graphics & branding and use this as a theme to create a new cool website for them, all within a suitable budget and timeframe. 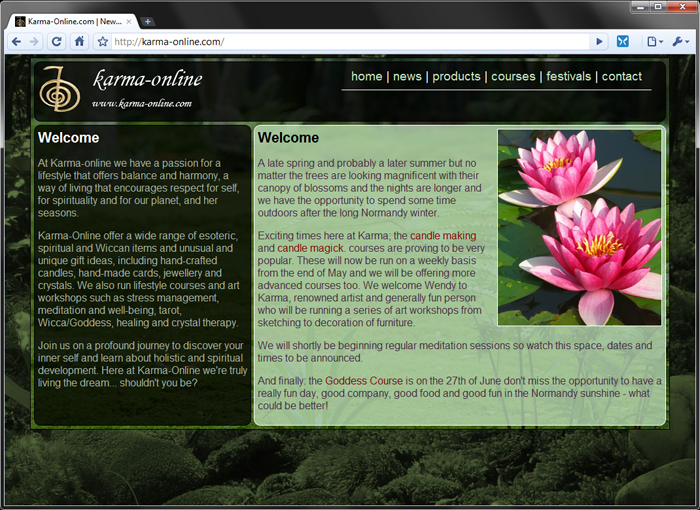 Karma-Online.com is an ongoing project that Floor9Design are involved in. Its remit has evolved from a stylish promotional website, to an ecommerce and course booking website resource. A whole host of other features have also been implemented including email, FTP, secure access, and social networking solutions. 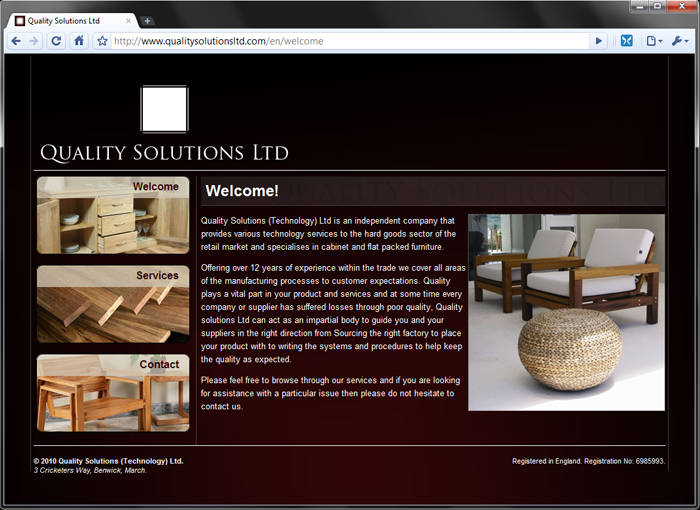 Quality Solutions Ltd needed a simple and stylish website and branding developed in a short timescale. Floor9Design quickly worked on a simple and elegant layout that was launched from start to finish in under a week. Following this success, a full Chinese translation was also quickly commissioned and implemented. Establishing an effective website presence opens your company doors to millions of prospective clients. With a strong website you can advertise in a truly universal format... bolster existing campaigns, create new angles for the public to view your business and create a new customer base. At Floor9Design we have a wealth of experience at all levels of web design, from simple updates and of an existing site, to full bespoke web design projects. We can manage all aspects, including content generation & brain storming, website design and redesign, domain purchase/administration, translation and ongoing website maintenance and updates... Most importantly, all at an affordable budget to suit you! Floor9Design can develop a web package for you, from a quick revamp through to a full rebrand and website implementation. The best way to find out what we can do is to get in touch for a no-obligation chat... So why not get in Contact? Sitemap | © 2019 Floor9Design.